Loch Palm Golf Course offers golfers an enjoyable game of golf for all levels. 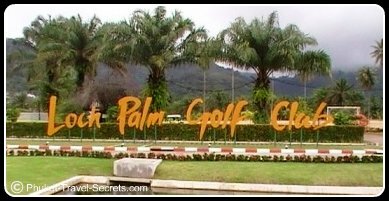 Loch Palm is located between Phuket Town and Patong Beach the Lock Palm course makes for a great day out. Built around one of Phuket's largest lake's quarried in the tin mining days, makes for a challenge for anyone with any stray shots in their bag. The opening 3 holes of the course, play around the lake, so if you are using hire clubs, don't get the ones with the built in slice! At 6,555 yards and par 72, this is not a long course and offers a more relaxed game, not relying on big drives to make your second shot easier. The course is laid out with the front nine played around the lake and the back nine venturing into the mountainous area. With water coming into play on 13 holes you had better bring a few spare balls. 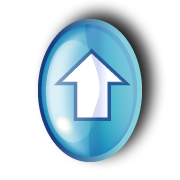 If you do start to run low there is usually a vendor set up just after the 10th selling balls that others have lost. Great Course, they offered a junior rate of only 400 baht for kids under 15 for the 18 holes as a special in October, so that made dad happy. Just remember to take your passport as they do check your age. The caddy's were great, they really enjoyed it when I played better shots then my dad. My favorite hole was the par 3, 14th, hitting from on top of the hill to a water surrounded green below. Dad scored a bogey after going in the bunker and I scored par after landing my tee shot on the green. The course was in great condition and the staff were all friendly. For more information check the Loch Palm website for any specials and more details.